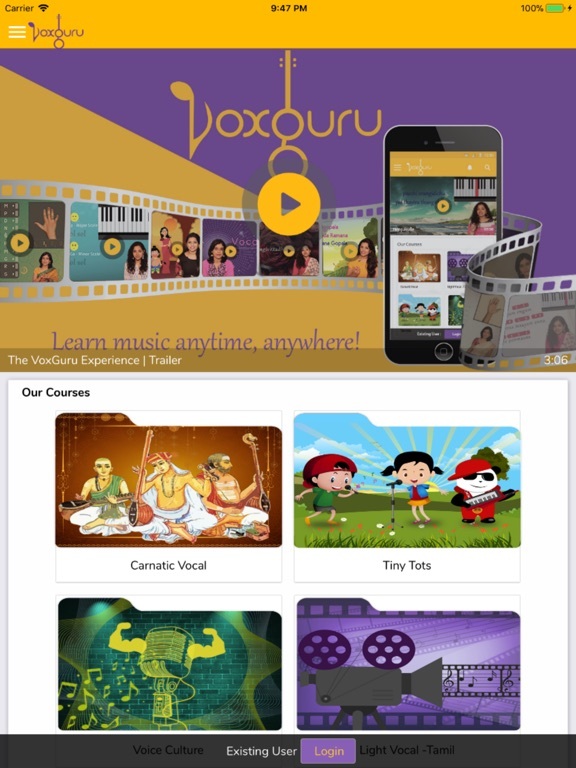 VoxGuru brings music closer to you, through our engaging video lessons! 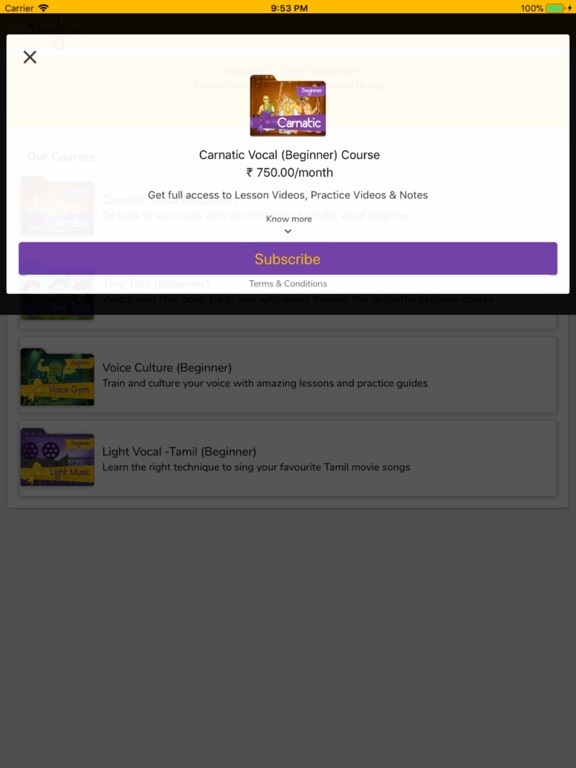 Learn from the best vocal trainers, at the comfort of home! 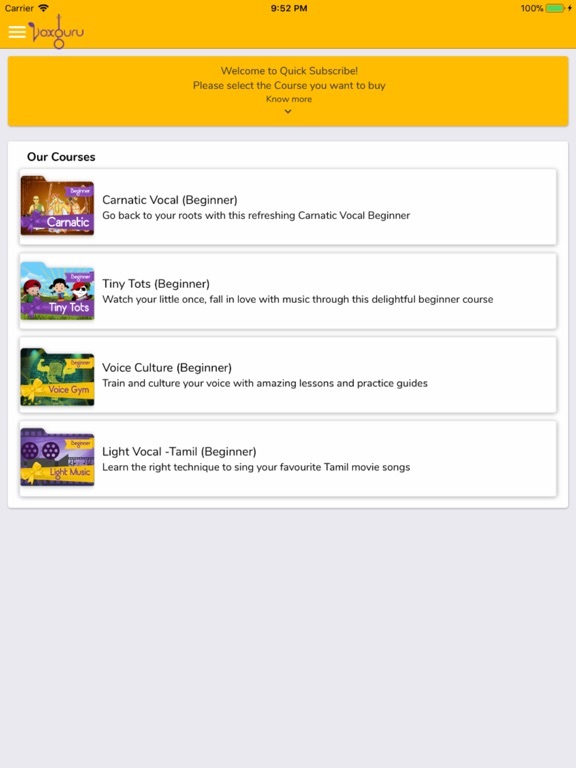 Choose your course - Pick your favourite from various courses like Carnatic, Light Music and Voice Culture. We also have a special 'Tiny Tots' course for toddlers. 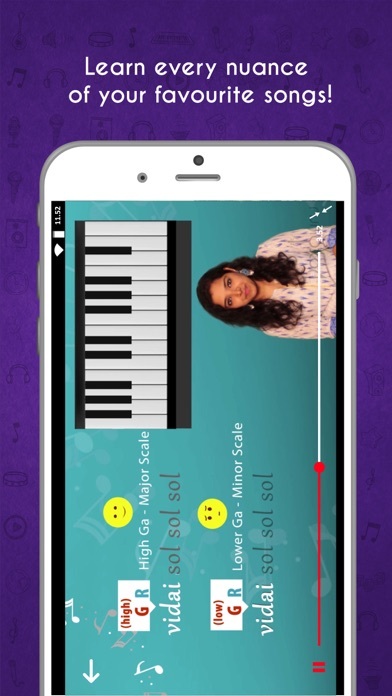 Engaging video courses - Get access to hundreds of engaging videos that simplify musical concepts. Our lessons follow a sequential order so you never lose the continuity. 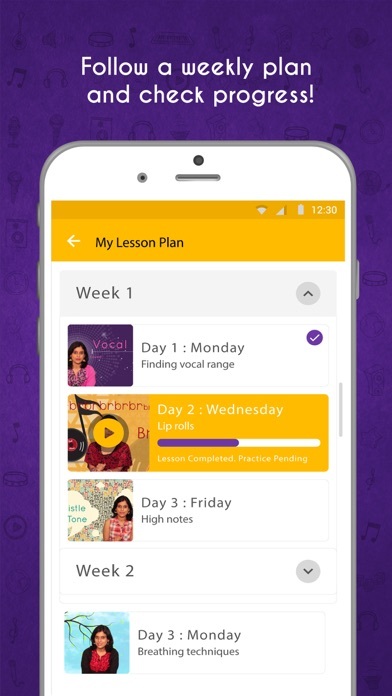 Weekly learning plan - Follow a systematic learning plan with lessons assigned for each week. Track your progress at the end of each lesson. 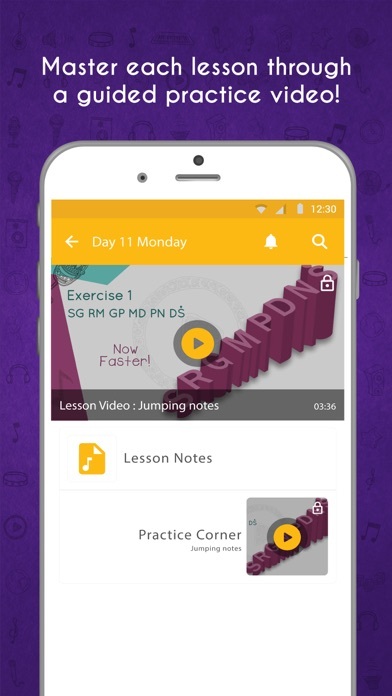 Guided practice videos - Get a guided practice video at the end of each lesson, to sing and master the lesson taught. Book a live class - Book a slot and learn from a professional trainer, via Skype. 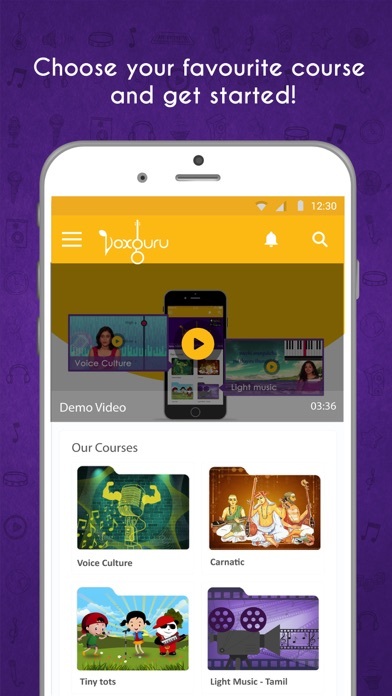 Products on our App - Any times or dates stated on our App are estimates only and VoxGuru does not accept liability for any failure with regard to dates or time. Pricing of our Products - The price of any of the Products is the price in force at the date and time of viewing. We may change the price of any Product displayed on our App at any time.